We, at International Flow Technologies (IFT), have been serving the Americas and the World for over 37+ years, by providing pipeline solutions including: emergency responses for turn-key bypassing of pipelines, hot tapping, line stopping, wet tapping of butterfly valves, and valve installation services. 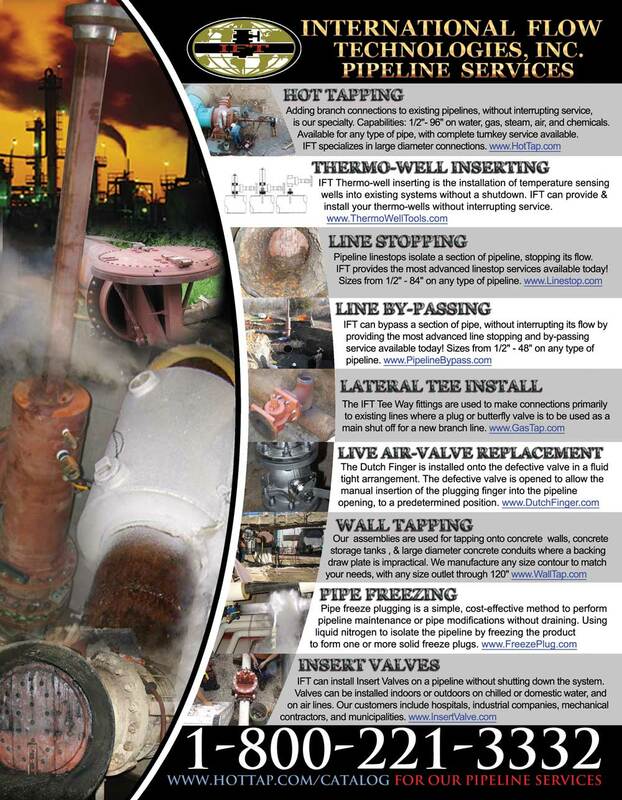 IFT is capable of handling modifications to most piping systems. Our specialty is performing small to big hottaps and linestops in order to replace or add new valves to existing systems without an interruption of service. These solutions are led by a team of technicians using innovative techniques that have helped define the industry.